Here is the beginning of my post. As you know, I am always intrigued to find new quality local brand. 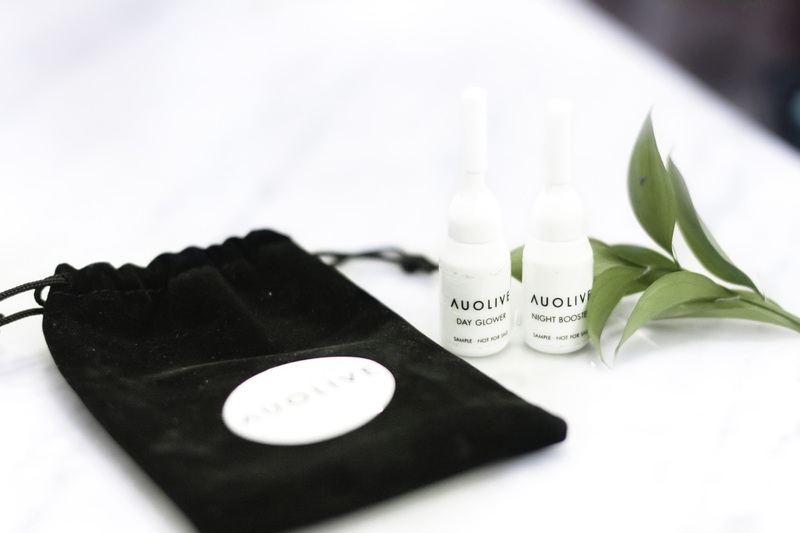 This time, I came accross Auolive, a Singapore homegrown skincare label. I got their trial kit and have been wearing them for a week straight now. They claim to be the multi functional beauty skincare for modern busy women. They try to eliminate the long range of skin care that we have to use and make them in compact one step product. So here's my first impression on the skin care. ✅Day glower ➡ Worn after washing face in the morning. Acts as moisturizer and uv protection at the same time. Hydrates the skin well and minimizes my pores. A good primer / make up base too! Not oily / cakey at all! ✅Night booster ➡ In gel texture and helps to moisturizes the skin during your sleep! Concentrated with marine collagen. Acts like serum for nourishment. Both consists of non alergenic fragrance, alcohol free and paraben free. Both glides and absorbs easily on the skin without making my face look oily. You can check more about their products here. So bottom line, will I reccommend? Yes! I think I might also want to try their other product, the Radiance revealer exfoliating gel. Have you every try their products?